Two years ago, Kimmi and Racheal Boothe of Lawrenceville, GA welcomed their first son, Connelly, 15 weeks early and weighing only 1lb 9oz. His mother, Kimmi, suffered from HELLP syndrome, a life-threatening pregnancy complication usually considered to be a variant of preeclampsia. Her blood pressure was 232/120, and she was going into liver/heart failure and was on the verge of having a stroke. Connelly had to be delivered at just 25 weeks gestation to save both of their lives. As a micro-preemie, Connelly was so small and fragile that he spent ten months at the Children’s Hospital of Atlanta before being strong enough to go home. He was intubated for seven months as he was born with chronic lung disease, paralyzed vocal cords, and a narrowed airway. During this time, Connelly caught and was treated for a staph infection, received surgery on his airway and endured multiple bronchoscopies. While in the hospital, Connelly was never alone. Kimmi and Rachael slept in his room every night. They gave Connelly every bath and changed every diaper. They were present for every procedure, every decision, and every treatment. They questioned everything, asked for second opinions, educated themselves on everything involved with his care and weren’t afraid to say no to things that they weren’t comfortable with having their son go through. Kimmi and Rachael were told Connelly would never be able to breathe on his own or speak. They were at the hospital every day for 289 days as their son clung to life and were told by some to pull the plug on the ventilator and let him go… but Connelly fought to live! Connelly has also been diagnosed with Retinopathy of Prematurity (ROP), Autism and Cerebral Palsy ataxia. He is on 24-hour oxygen, tube fed, and currently non-verbal. He has had Cricoid Split surgery on his airway, a Patent Ductus Arteriosus ligation heart procedure, multiple blood transfusions, and a spinal tap procedure. He is followed by cardiology, pulmonology, ENT, GI, physical therapy, occupational therapy, speech therapy and his pediatrician very closely. Kimmi and Rachael administer his multiple daily medications, take care of his feeding tube, have oxygen tanks delivered, and continuously keep track of his heart monitor day and night. Because of them, Connelly is a happy 2-year-old. He does, however, have some significant hurdles ahead of him. In order to survive, Connelly needs laryngotracheoplasty surgery because as he is growing, his airway is not. His current airway is too small, and he still requires constant oxygen. Without this surgery, Connelly will not make it through the year. Connelly needs his entire airway reconstructed, and the best doctor for the job is Dr. Reza Rahbar, Associate Otolaryngologist-in-Chief and Co-Director of Center for Airway Disorders at Boston Children's Hospital. Initially scheduled for March, Connelly’s operation was rescheduled for May due to the severe flu season. The surgery will be over 13 hours long which is extremely dangerous for anyone, but even more so for a child Connelly’s age. Recovery will include a required month-long stay in the ICU at followed by many weeks in a standard recovery room. Rachael is a stay at home mom, but Kimmi will be taking family medical leave from her job as a student advisor at Georgia State University while they are in Boston. They have insurance to cover much of Connelly’s surgery but their most significant financial challenge will be their 3 months of traveling expenses. Due to his medical equipment and supplies, he cannot simply fly from Atlanta to Boston. His oxygen tanks take up A LOT of space, and they need all of his multiple medical supplies and medications and machines for the ride. Also, due to his condition he is unable to sit in one position for more than three hours as fluid can gather in his lungs so frequent stops are necessary, making the trip a long one. The plan is to leave Georgia on May 12th and arrive in Boston for a full day of doctor visits on May 14th. Connelly has a scope in the OR scheduled for the May 16th and surgery is set for May 23rd. While in Boston they have found a hotel within walking distance of the hospital as the Ronald McDonald House is limited to families with a child who are being treated for cancer. With the help of family and friends, Kimmi and Rachael have raised part of what they need for this trip, but it is not enough. This is where Ride to Give steps in. We would like to provide the Boothes some much need financial peace of mind by covering 50 nights of their hotel stay. This will allow Kimmi and Racheal the breathing room to be there for Connelly without worrying how their hotel bill will be paid. We can't wait to see Connelly and his family thrive post-surgery, but we need your help to as they get ready to embark on this very important trip to Boston. You may follow Connelly's journey by joining his Facebook group "Connelly Strong." Contributions are solicited with the understanding that the donee organization (Ride to Give, 501c3 tax ID 46-2952297) has complete discretion and control over the use of all donated funds. Questions about how your donation is used can be answered by clicking here. 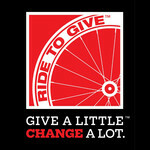 Please visit Ride to Give on the web at www.ridetogive.com or on Facebook at www.facebook.com/ridetogive.